New 20 minute program – Transform :20! If you know anything about me and my fitness journey – you know I love Shaun T. Shaun T is how I started my fitness journey (t25) and he’s also why I became a coach. I love his energy, his personality, his life story – all of him. I’m a fan lol. So it’s no shock that I’m so excited for his new 20 minute workout program launching in April. The good news? Us VIPs can start on JANUARY 14th! Check it out! 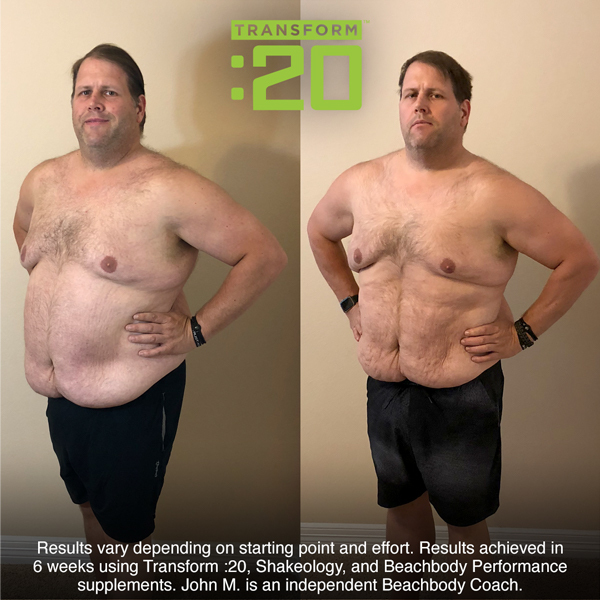 Transform :20 is a fast, super-intense fitness program created by Super Trainer Shaun T that will transform your body—and your mind—in just 20 minutes a day over 6 weeks. Be forewarned—it’s hard. But the results will be worth it. Transform :20 is a breakthrough total-body workout without breaks. It’s just you, Shaun T, and a Step. After 5 minutes, you’ll be out of breath, at 10 minutes you’ll be sweating, in 15 minutes you’ll be looking at the clock, and by minute 20 you’ll be done. You’ll blast your core, legs, glutes, and upper body—no weights required (but there are 6 BONUS workouts with weights, YES!) There’s a different workout every day, 6 days a week, done in real time with the cast. No do-overs and no repeats. Transform :20 is divided into three 2-week chapters: COMMIT, CLIMB, CONQUER. In each chapter, the moves evolve and get harder. Daily Transformer challenges will push you physically, and daily Shaun-Firmations will help get your mind focused and keep you motivated. The Beachbody® Nutrition Guide has been tailored to Transform :20 to make sure you’re getting the nutrients and fuel you need throughout the program to help you achieve your best results. It also explains how to incorporate Portion Fix® or the 2B Mindset™ into your eating plan. Finally, weekly behind-the-scenes videos, “Transform Your Life with Shaun T,” feature Shaun T and the cast as they discuss their own challenges, with the goal of motivating everyone to stay committed and strong. People looking for a simple at-home solution! This was key for me when I started working out because I didn’t want to drag my kids to the gym and get a babysitter and I didn’t have the time to do it all. Get Started Guide- A complete overview of the Transform :20 program and workouts, plus 5 simple steps to do before beginning the program. Get Ready To Transform- A video overview of the Transform :20 program and all available materials and tools. Step Safety- A video that outlines how to safely use the Step for all moves. Beachbody Nutrition Guide- Tailored specifically for Transform :20, this guide will give you a simple, easy-to-follow eating plan along with recipes, food lists, and smart eating tips. This guide also incorporates our nutrition shake, Shakeology – or the performance line (OR BOTH! :)). Shakeology helps you get all your nutrients for the day to fight cravings and keep your body fueled. Performance line includes preworkout/postworkout shakes to help your body recover and prevent soreness. 6-Week Transformation Tracker- You can keep track of your fitness, weight goals, and daily workouts. Plus, you’ll get Shaun-Firmations, daily words of wisdom from Shaun T, to help keep you focused and in a positive headspace. Transform :20 is all about transforming body AND mind. Wall Calendar/Tracker- (DRY ERASER FRIENDLY!) An overview of each day’s workout with space to track progress and daily Transformer challenges. Hybrid Calendar- Follow this calendar if you plan on incorporating the 6 BONUS weighted workouts. It’s the same 6 days a week for 6 weeks schedule with the weighted workouts folded in. Want more info?? Click here to talk to me about getting started! I’d love to do this with you in January!! Author tarrayvettePosted on December 12, 2018 December 20, 2018 Categories Coach Life, Uncategorized, Working on my FitnessLeave a comment on New 20 minute program – Transform :20! My nesting instinct is already strong af and I’m only 14 weeks. Like, since week 12 I have reorganized/cleaned out my closet, cleaned out all of LBs toy boxes, painted furniture, redecorated our bedroom, got all new scentsy waxes and candles… I’m just on it. I wanted to share the final bedroom transformation because I just love how it turned out. You guys saw the furniture transformation here – but I couldn’t stop there. Soooo I knew what I needed. That blank wall – had to go. I needed a large mirror and curtains. And some other wall decor. I went out to homegoods with my friend Jessica on Saturday and bought the items. Yal, the urge to finish the room was SO GREAT that I couldn’t stop myself from spending money on it lol. THEN it wasn’t enough to just buy it. Brian had friends in town and he was going to be out late. So why did my pregnant behind hang the mirror and curtains and wall art at like 10 PM? THEN I had to dig out our nice comforter set and wash it that night to put on the bed the next day. 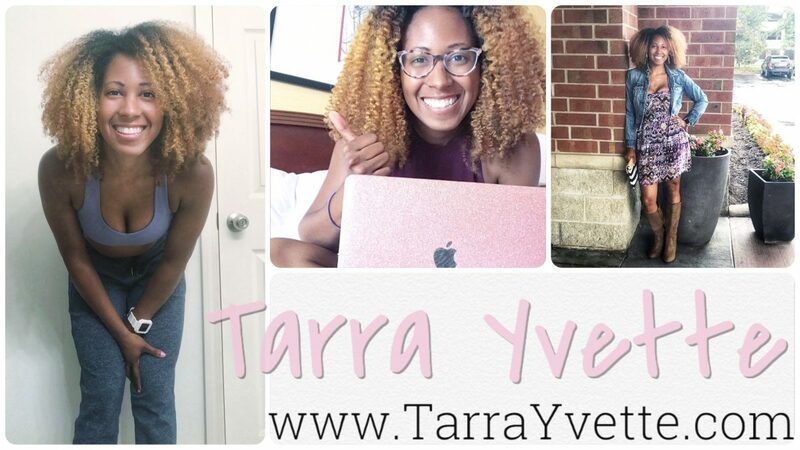 Thank you for tuning into this week’s episode of Nesting with Tarra. Next week? The laundry room! Alright guys – I finished ALL 8 WEEKS of LIIFT4. It’s a 4-day a week 30-40 minute program that’s a mix of lifting and HIIT. It’s by Joel Freeman – and looking at him is reason enough to give it a try. But in all honesty – I loved the program! The extra days off gave a lot of room for cross training (running). And it definitely helped during those early pregnancy weeks when I was super tired to not have long workouts. Results wise, my results are cleary skewed since I’m pregnant haha. However – I did continually get stronger (raising my highest weights from 20 lbs to 35 lbs by the end of 8 weeks) and I didn’t gain any weight. I was inconsistent with my eating due to nausea but that’s just part of the game right now. I definitely suggest the program to anyone! It’s fun, it’s effective, and it’s short! haha. If you want to try – hit me up! Aldi came thru with generic halo top! Yal. Anyone who knows me knows I shop FAITHFULLY at Aldi. Idc about no name brand anything – it’s all basically the same (except some cereals) and the savings is AMAZING. But there are some things I’d venture to Kroger/Target for…. and one of those was if I was having a halotop craving. If you don’t know about halotop – basically it’s icecream with way less calories and less sugar and less fat and ALL of the taste. It’s bombbbbbbb. The ingredients aren’t perfect (I don’t do a lot of sugar alcohols because they bloat me.. but so does regular ice cream so I may as well choose something friendlier to my goals LOL). Anywho, HaloTop typically runs around $3.99 per pint. It’s worth it. I spend it. However this week at Aldi, hubby grabbed some of their low fat icecream. It’s a halotop generic, with similar ingredients and macros. It costs $2.99 per pint. I was skeptical because I LOVE HaloTop. But I gave it a try last night and YAL – IT LITERALLY TASTES JUST AS GOOD! The texture is also similar. The main difference I noticed is HaloTop is a little hard – it says right on the carton to let it sit out a few minutes before you start eating. The Aldi brand is not like that. You don’t have to let it thaw some before eating. I immediately flipped to the back to check the macros. Compared to halotp, the macros per serving are actually better. The Aldi brand has less calories, sodium, less cholesterol, less total and saturated fat, less sugar and sugar alcohol, and more calcium (HaloTop has more iron though). I had to take a look at the ingredients and compare. HaloTop ingredients: Skim milk, eggs, erythritol, prebiotic fiber, milk protein concentrate, cream, organic cane sugar, vegetable glycerin, natural flavor, sea salt, vanilla beans, organic carob gum, organic guar gum, organic stevia leaf extract. In my opinion neither is perfect, but HaloTop appears to use higher quality organic ingredients. It looks like there’s less cholesterol in the Aldi brand because of using egg yolks instead of whole eggs. Aldi also doesn’t use any salt or Stevia. Naturally HaloTop has more flavors as well as having a wide selection of vegan flavors too. At our local Aldi there were only a few flavors of the low fat icecream. In my opinion, the changes don’t cause a difference in taste (though I haven’t done a side by side). I’m not sure how much you’d save at $1 a pint per year – but if you are already at Aldi weekly like I am – may as well pick up a pint a try! Author tarrayvettePosted on September 5, 2018 September 5, 2018 Categories Coach Life, UncategorizedTags aldi, aldi finds, clean eating, clean eats, compare, generic, generic vs brand, health, healthy eating, product reviewsLeave a comment on Aldi came thru with generic halo top!